Bethany Battafarano, soprano, finds her niche in early, choral, and contemporary classical music. 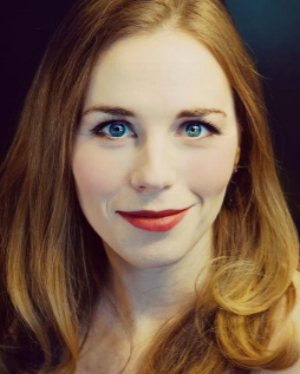 She has sung with The Rose Ensemble, Minnesota Chorale, Apollo Master Chorale, Oratory Bach Ensemble, First Readings Project, and The Singers – Minnesota Choral Artists. With The Rose Ensemble, Battafarano celebrated the release of her first CD, Christmas in Baroque Malta, and she toured Spain, France, Germany, and across the United States. In 2017, Battafarano co-founded the professional chamber choir Border CrosSing, for which she sings and is Deputy Director. After just eight months, Border CrosSing will soon complete its fifth program. Battafarano is co-founder of the chamber treble ensemble Artemis, which performs contemporary classical music and experimental improvisation. Artemis recently completed a commission by French artist Laure Prouvost, the Walker Art Center, and Experimental Media and Performing Arts Center in New York. Battafarano is co-founder of the new trio (tentatively “BETH”), which collaborates with Twin Cities composer Victoria Malawey on music for soprano, violin, and double bass. Battafarano holds a BA in Music, Anthropology, and Psychology from Macalester College.